Each year the Spring mechatronics class (ME 153) gives their final presentation in the form of a sumo-robot competition that pits each team's robot (a semester-long project) against each-other in a battle-royale. The competition, held May 1st this year, was the best attended and the most lively to date. Eight teams fought for the glory of victory and their final grade. A smaller demonstration and re-staging of this year's battle was held on the evening of the opening of the annual End of Year show. 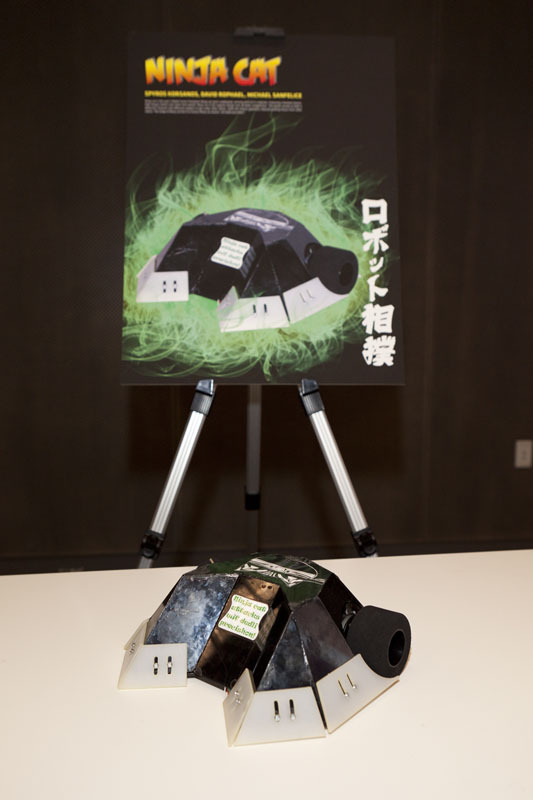 Robot sumo has quickly become a popular competition for robot enthusiasts around the world. Each sumobot must attempt to push its opponent out of the ring while remaining inside the ring itself. Matches are typically very short and action-packed. There are no weapons involved as the robots must rely on brute strength and cunning to stay in the ring while shoving opponents out. This particular competition is completely autonomous, meaning there is no remote control. The robots must think for themselves, identify the "edge of the ring" by color alone and avoid it—all while attempting to locate and eliminate opponents. 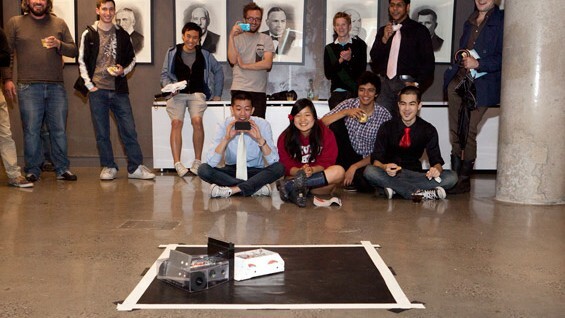 Just some of the topics covered in the mechatronics class include combinational digital logic, computer architecture, embedded controller programing, systems engineering and project management—all crucial to students setting out to design, build and program an autonomous sumo battle bot. Mechatronics is a junior year mechanical engineering elective, and is structured to introduce the students to the concepts of eponymous concept. 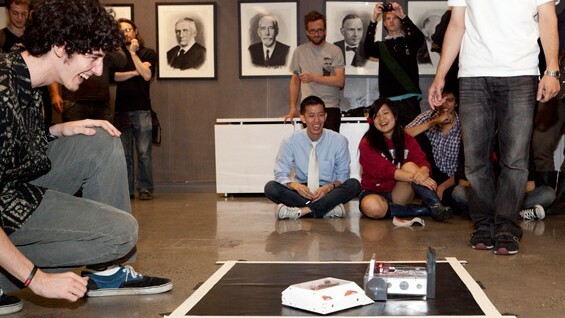 Professor Brian Cusack has been teaching the class for the last nine years, and has used robot-sumo as a term project for the last seven. Teams of three are required to design, from scratch, their own sumo robot and take that design from sketch to a competition-ready bot in fourteen weeks. "I could have the students design lab experiments but building fighting robots adds a level of excitement and enthusiasm to the project that helps reinforce the topics covered in class,” says Professor Cusack. “Students think of this as the class in which they get to build a robot—but they are also learning about sensors, control systems, drivers, programming, prototyping and so much more. In essence they have built mobile data acquisition microcomputers that process data and give a control response. One of the biggest lessons is the project management required to do all this in a very short period of time. Week one is brainstorming; by week two I expect sketches of a "final concept". By week three students present CAD drawings of their design and I expect parts received, machined and assembled a few weeks after that... The semester moves fast, and the only path to success is careful planning, execution, and evaluation of progress." This year "NinjaCat" (by Spyros Korsanos, David Rophael, and Michael Sanfelice) went undefeated to win a flawless victory, but every team arrived at the competition with a functional competition-ready robot –a big success by his standards, says Professor Cusack. “One of the coolest stories happened behind the scenes minutes before competition started,” he adds. 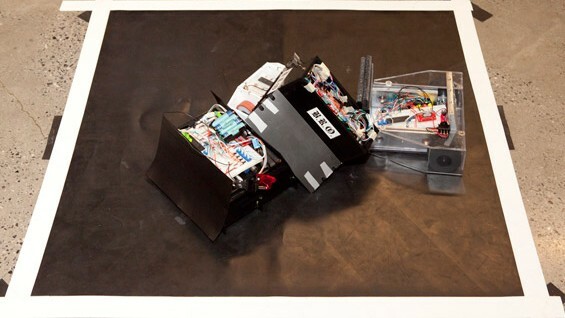 “One team crossed a wire and literally blew up their microcontroller. I handed them the key to my office and said ‘get a new microcontroller, program it, rewire it, and be back in 25 minutes.’ They were back in 20—with a functioning robot. I wager those 20 minutes were more stressful than any other final they had this year, but they passed this one with flying colors."